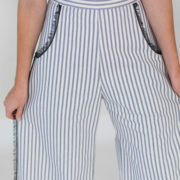 These flared trousers are offered in a blue and cream striped cotton woven in Italy. 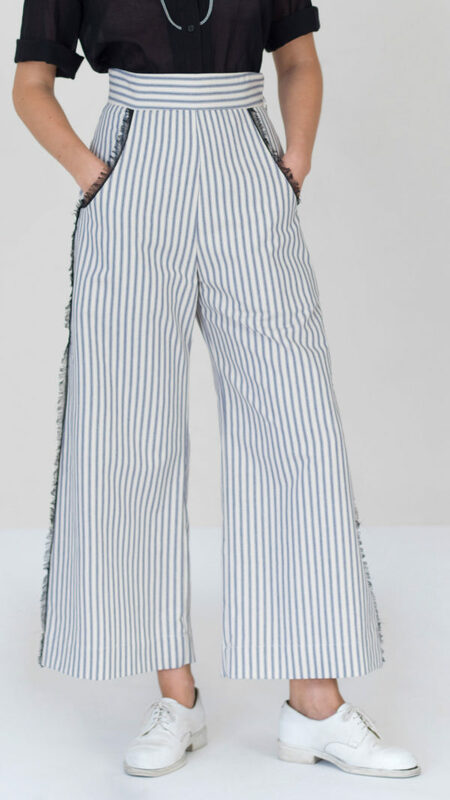 Black cotton fringes emphasize the side pockets and give a western spirit to clothing. 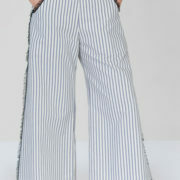 Its retro zip on the side and its high waist offer a feminine silhouette with a flat stomach and a pretty curvature back. Finally, its fire-floor length allows a more relaxed attitude to a tailored suit.